Windows 7 phone and Microsoft Surface RT tablet. The OverDrive mobile app can be found in the Google Play store on the Nexus. 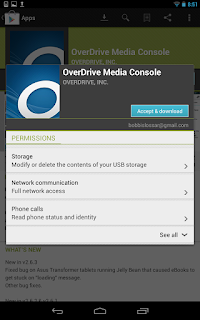 Note: The OverDrive mobile app can also be found in the Kindle App Store for the Kindle Fire and the Nook's App Store for Nook Color, Nook Table, Nook HD, and Nook HD+. Apple's iOS users will find the OverDrive app for iPads and iPhones (and iPod Touches) in the "App Store" app on their apple device. 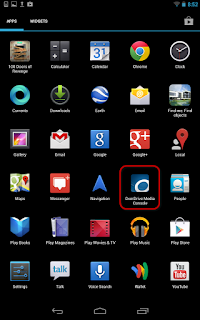 Install the app as you would install any other app you've added to your device. 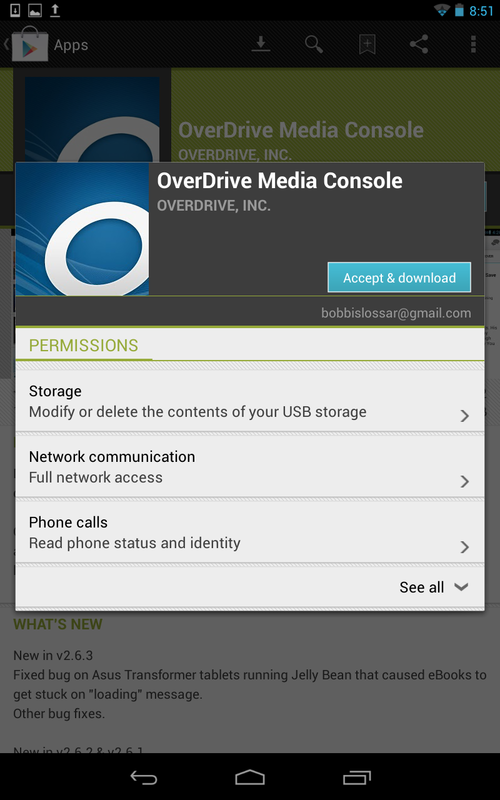 From Google Play, search for the OverDrive app. 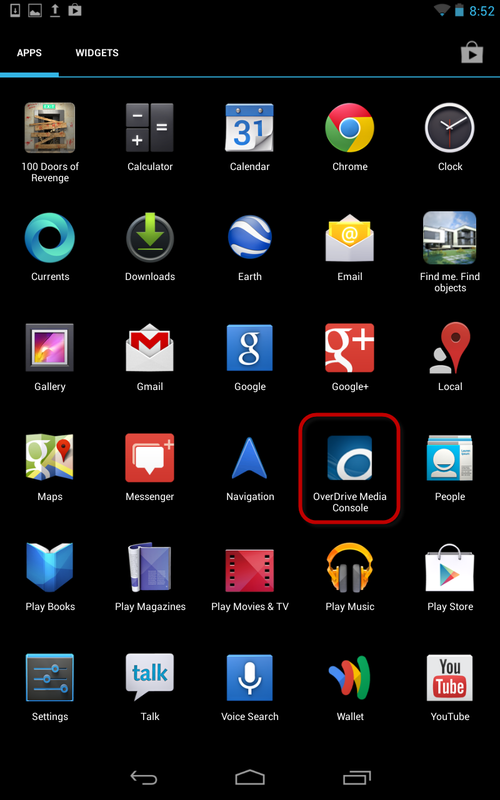 Once you locate the app, tap install. Accept the agreement to continue the installation. You can watch the download and installation progress from the notification bar a the top of the screen. 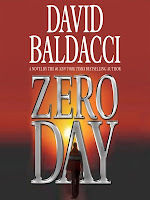 You will be prompted to register for a free OverDrive account to sync your eBooks between devices. Users under the age of 13 do not register the app and can simply tap a statement saying that they are underage. 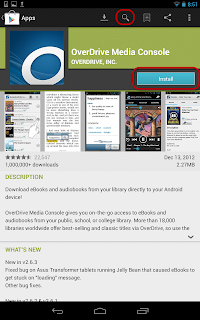 At this point, you have the choice of using the OverDrive mobile app's browser (which is built into the app itself) OR the web browser installed on your device (Safari or Chrome, for example) to browse the NHDB site and download eBooks and audiobooks. Either method works equally well with Android devices at this moment. However, when using an Apple device, please use the Safari web browser to visit our site. The OMC app for iOS needs to be updated to show the new "Next Gen" OverDrive website.